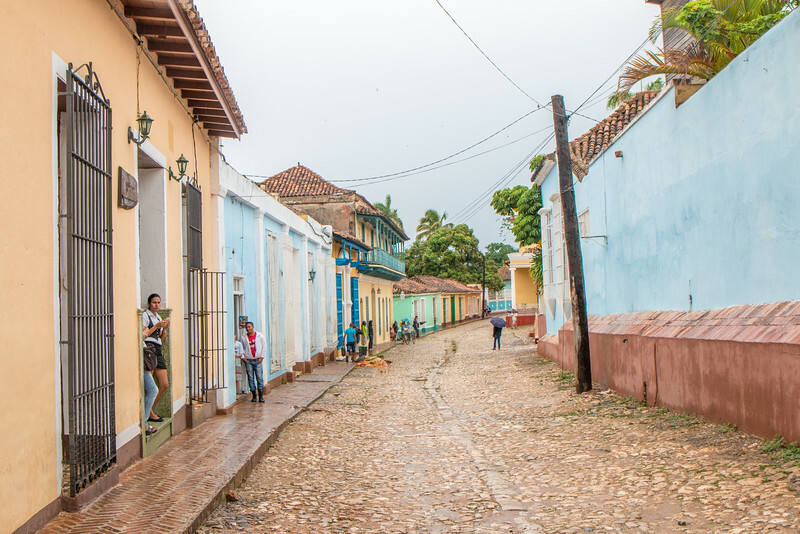 Trinidad is one of those places that everyone should include in their itinerary for a visit to Cuba. 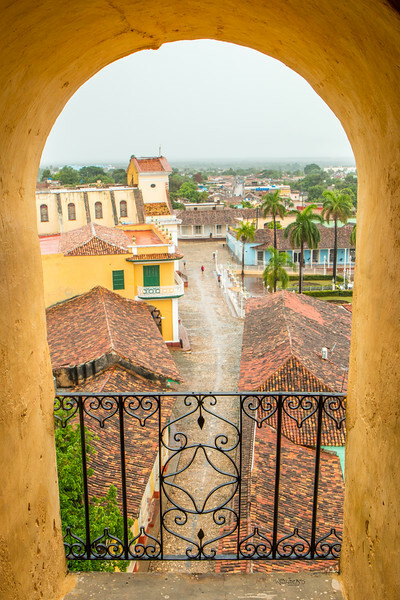 Like us, travellers flock to this 500-year-old town in central Cuba, considered to be one of the most well-preserved colonial towns in the Caribbean, due to its historical centre and colourful architecture. Colour is everywhere in Trinidad. An array of vibrant colours is used throughout the town to paint its many houses and buildings. 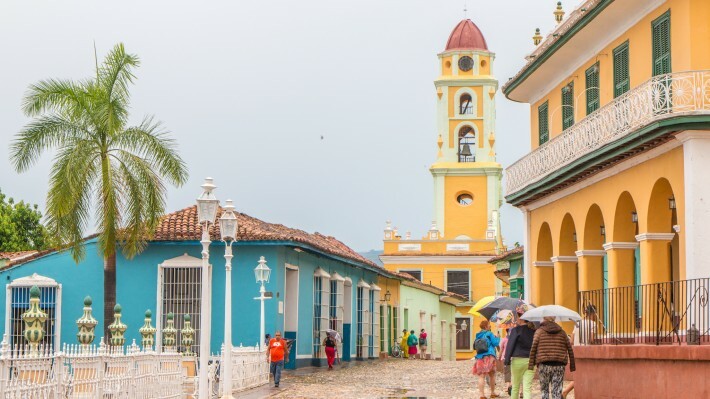 It almost feels like time stood still in Trinidad, the cobblestone streets and buildings in the historical centre make you go back in time and still look like they did in the town’s wealthy days. 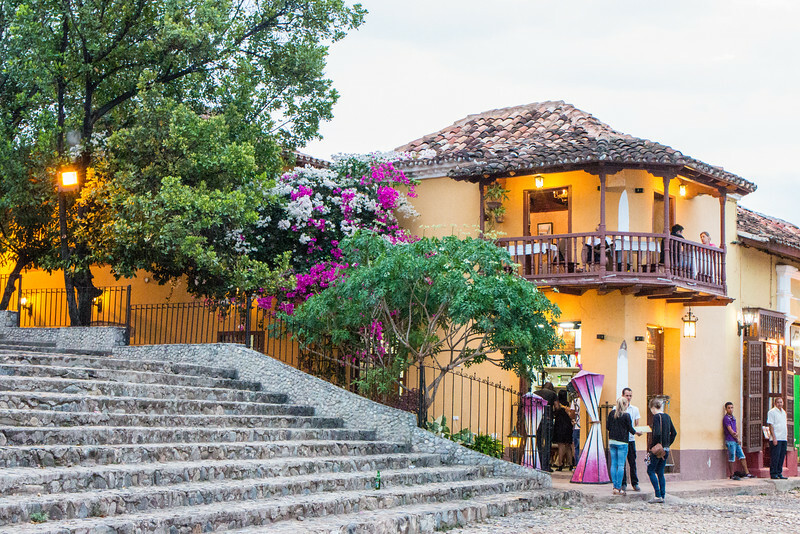 Trinidad is a UNESCO World Heritage Site, together with the nearby Valle de los Ingenios. 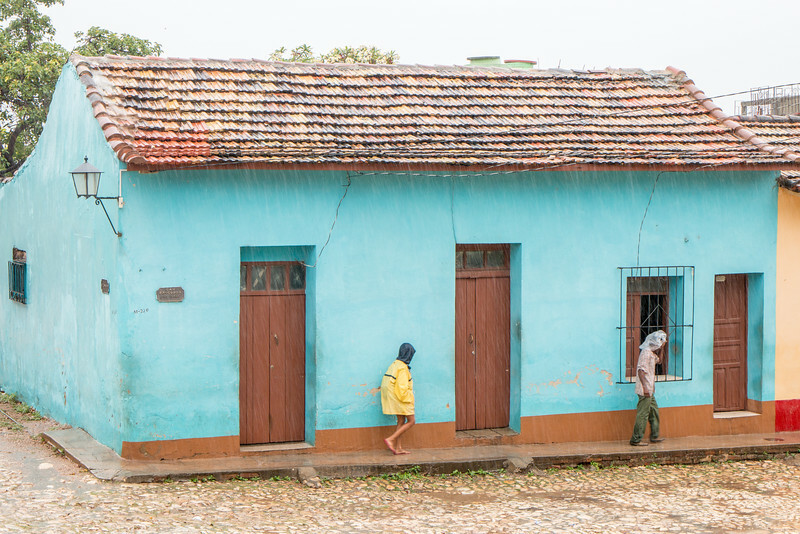 Not everything in travel is perfect and our two days in Trinidad were blessed with some rain – pretty much the only rain we had in Cuba! Hot and rainy. That’s what we had but we figured how to take the most out of it and still enjoy our time in Trinidad. Here are some ideas for visiting Trinidad! Plaza Mayor is the heart of the historical centre in Trinidad and is like an open-air museum of Spanish colonial architecture. All of the elements, colours and decorations are there and are quite a spectacle to enjoy. Naturally, this is where every single visitor goes to. Not to worry, it doesn’t get that busy! After all, this is Cuba. Wealth came to Trinidad with the boom of the sugar production in the 18th and 19th centuries. This was when most of the buildings at Plaza Mayor and surrounding streets were built. All of the sugar lords wanted a house there. Nowadays, many of these houses have been converted into museums and restaurants, amongst other things. The best way to explore the historical centre of Trinidad? On foot, of course. This area is car-free and quite compact, which is great… even when it rains! Once at Plaza Mayor, Iglesia de la Santísima Trinidad dominates the view from the top of the square, but a lot of other interesting buildings are worth a visit. If you like museums, there are 4 very close to each other. Museo de Arquitectura Colonial, housed in a former mansion where you can learn more about colonial architecture. Museo de Arqueologia Guamuhaya, where you can see some local archaeological findings. Museo Romántico at Palacio Brunet, an excellent example of a wealthy decorated mansion. 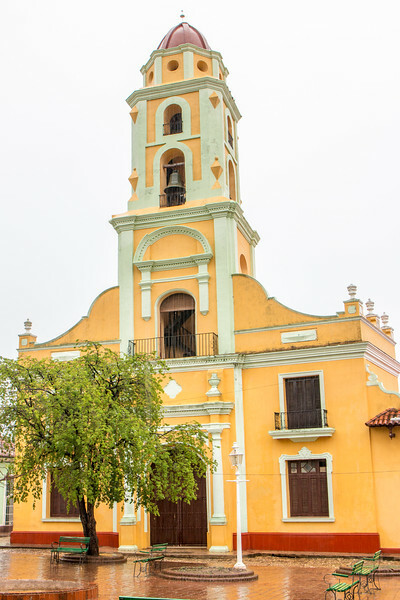 Museo Histórico Municipal at Palacio Cantero contains the history of Trinidad and a viewing platform at the top of its tower. We visited Palacio Brunet and Museo de Arquitectura Colonial while waiting for the heavy rain to calm down. Opposite to the Iglesia across Plaza Mayor is Casa de Aldemán Ortiz, an art gallery and handicraft shop. We recommend visiting, not only because of its interesting local art collection, but also because of the balcony that faces Plaza Mayor and offers privileged views. Music is part of Trinidad’s life. Casa de la Música and Casa de la Trova are two of the main places to go for live music around Plaza Mayor. Virtually all the restaurants of this area will offer live music as well during the evening. Want to travel independently in Cuba? 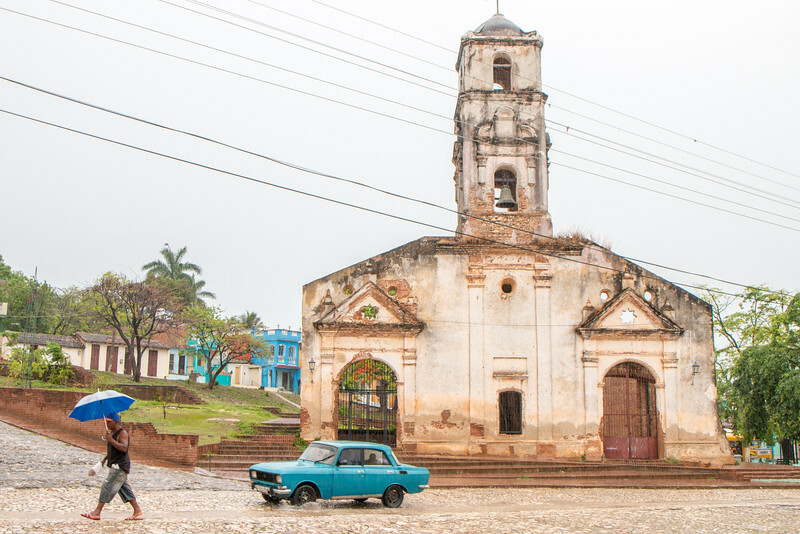 Read our guide with all about driving in Cuba! Very close to Plaza Mayor, and easily visible across town, is Iglesia y Convento de San Francisco. Originally from the 18th century, not a lot is left from that time. Only the tower was spared. The views from the top of the bell tower are the best in town! Plus, it’s the symbol of Trinidad and you can also find it on the 0.25$ (CUC) Cuban coins. The church houses an interesting museum – Museo de la Lucha contra Bandidos, which translates to “Museum of the War against the Bandits”. Don’t forget to visit the side streets around Plaza Mayor and the rest of the town. We did it and found a lot of interesting things around every corner. 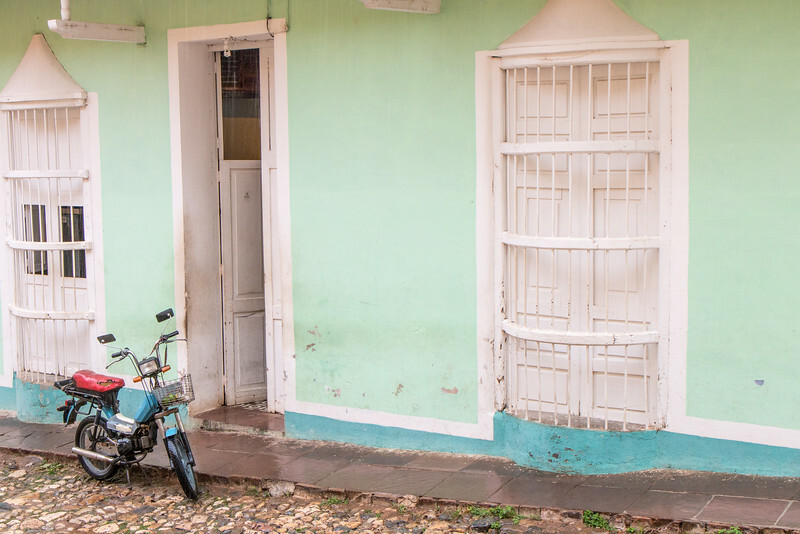 Don’t forget to say ‘hola’ to the friendly Cubans you’ll encounter along the way. Trinidad’s historic centre is very compact and easy to navigate. It’s natural to venture a bit further out without evening realising it. 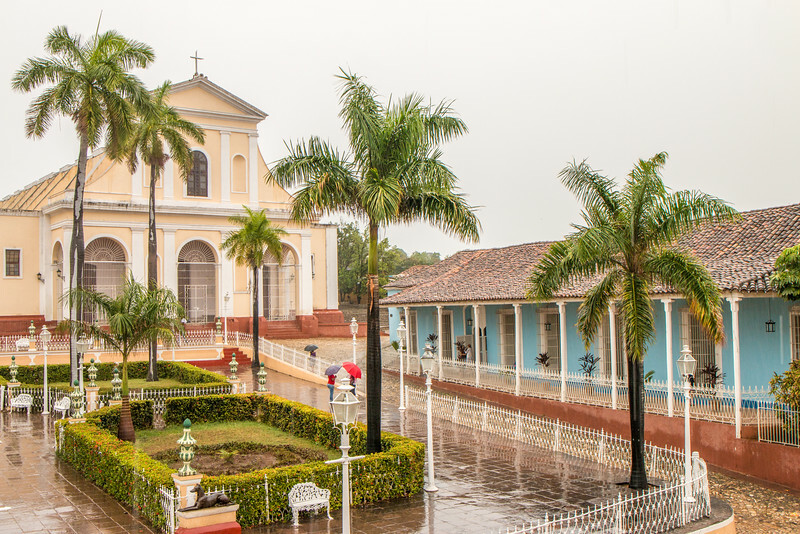 One place worth checking out is Plaza Santa Ana, where an 18th-century church with the same name is located. And, if you have time, a favourite place for the locals is Parque Céspedes. One of the highlights of our visit was the evening we spent eating out and having some drinks while enjoying some live Cuban Son. The area around Plaza Mayor is where most of the restaurants are located and where everyone seems to go. Best part of the night? The 90-year-old restaurant owner joining the band to show his dance moves! Like other Cuban cities, Trinidad has a huge number of casas particulares and also a few hotels. 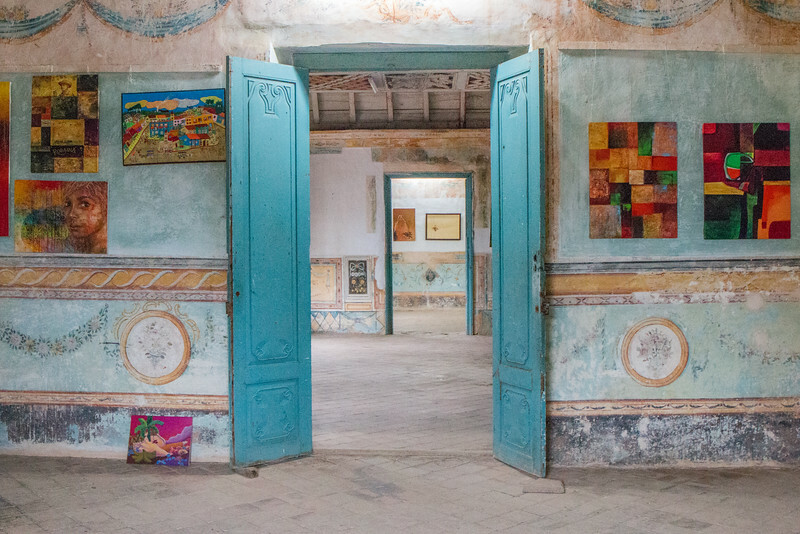 We stayed at Casa Norelvis y Liubetsy, probably the best we stayed at during our time in Cuba. 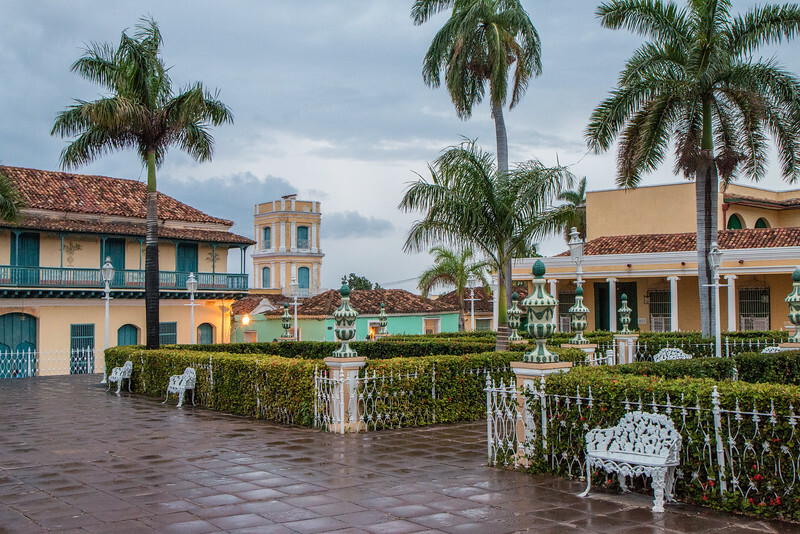 Want to stay local in Cuba? Read our guide about casas particulares! The only option to get to Trinidad is by road. We drove, but the most popular option seems to be the Viazul buses that are available to and from different cities across Cuba. Taxis are also an option for those travelling in a group. 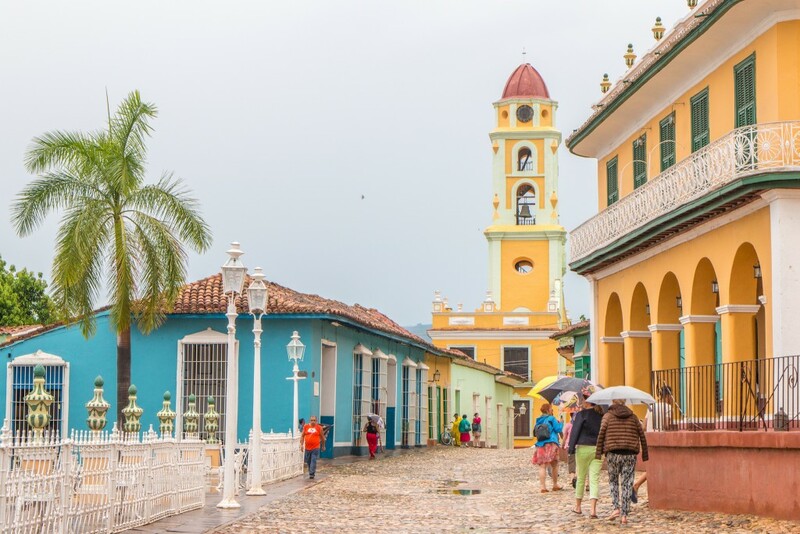 Have you visited Trinidad or other colonial towns? Let us know what you think! You did a great job of capturing the colorful city. Is Iglesia de Santa Ana just a facade now? It’s beautiful. The church is almost just a facade but still has other ruins behind it. Not much, though. YESSS! Trinidad was one of my favorite places I visited in Cuba, and I actually have a bunch of similar photos to the ones you got, bringing back a clang of nostalgia! I didn’t, however, catch the shot that you got in the art gallery, which is just stunning. What colors that town has, eh? We really enjoyed visiting Cuba and checking out a lot of places all over the island. Trinidad was definitely one of the best, even with all the rain. Beautiful colours for sure! Your photos are beautiful and just another reason to visit this delightful country. This post is perfect timing! 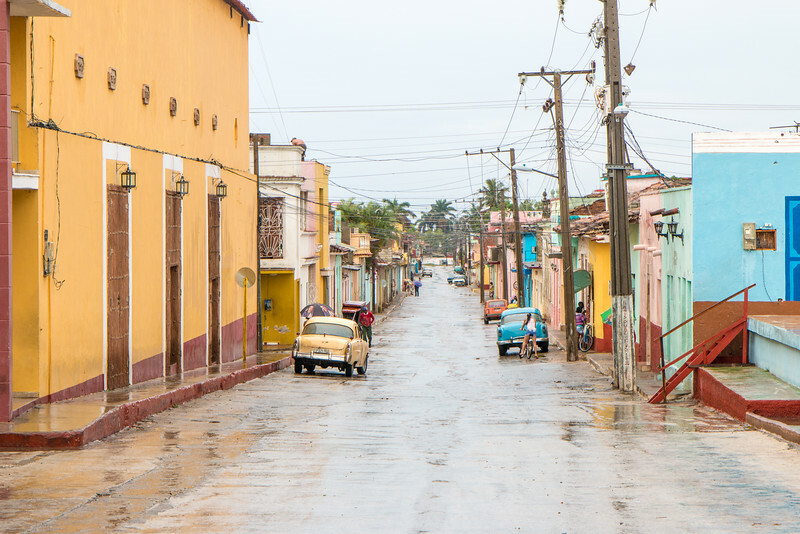 We are heading to Cuba in a couple weeks and Trinidad is on our itinerary. I love how colorful everything looks and the culture that’s there to explore and learn about. Visiting museums, listening to music, and enjoying the local people are the experiences that we are most looking forward to! Great to hear! You’ll definitely have a great time there. Let us know if you have any questions and check our other articles as well. Apparently before we visited, it had been a while since it rained. We were getting closer to the rainy season and that was just the beginning. It was still very warm and a full-day of rain is not very normal. It’s supposed to be mostly late afternoon showers other than anything else. Heritage sites are great to write about! What a dynamic contrast from your Iceland posts I have read, Hugo and Cristina! As a native Floridian, I have lived so close to Cuba, yet so far due to travel restrictions. Now, I am hoping to change all that. Most of the material I have encountered online seems to focus on Havana. I never knew Trinidad existed, nor that it was a UNESCO World Heritage Site. 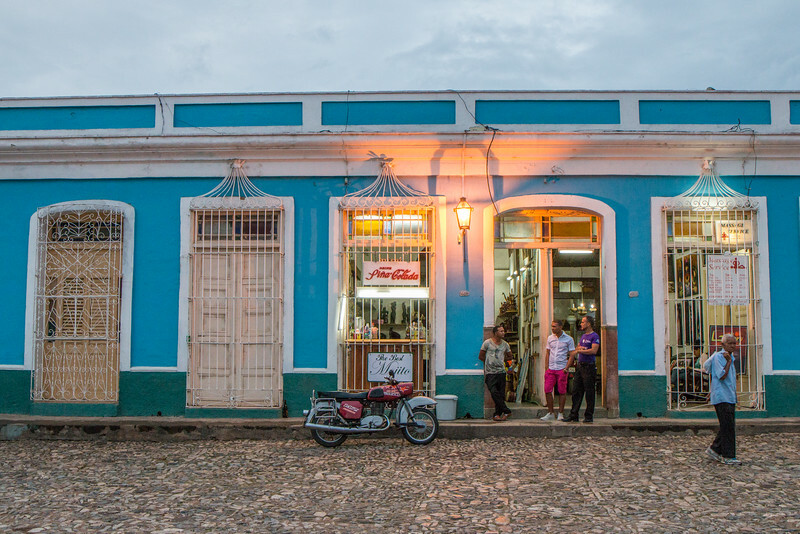 Your photos bring the colonial town with its bright hues of blues and yellows to life. As a roadtripper, I had not even considered the possibility of driving around the island. Now I cannot wait to read your Cuba driving guide. Love your work! Very different from Iceland, no doubts about it! It’s because of these contrasting differences that we like to travel the world and get to know diverse places. 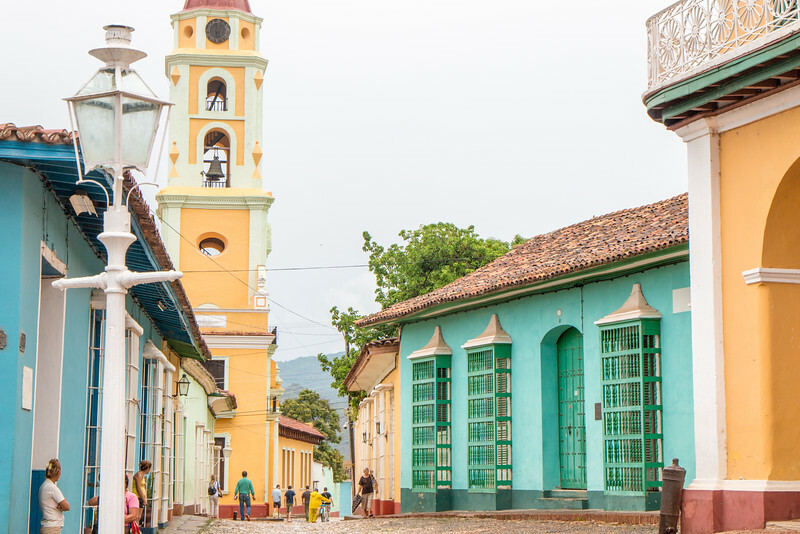 Trinidad is one of the top places outside Havana that visitors look to go to, mostly because of its history and how well preserved it is. Fortunately, it’s not that easy to travel there, which avoids some of the crows you see in Havana. A road trip was by far the best way to explore Cuba! I’m sure during the next year everyone will be free to travel to Cuba, which is what makes sense. So, you’re basically a boat ride away. No excuses! You are right when you said the view from the bell tower is the best in town! Those houses are so colorful and you have captured it well! I also loved that photo with the old church and bright blue old car. Someday I wish I could travel to Cuba too! 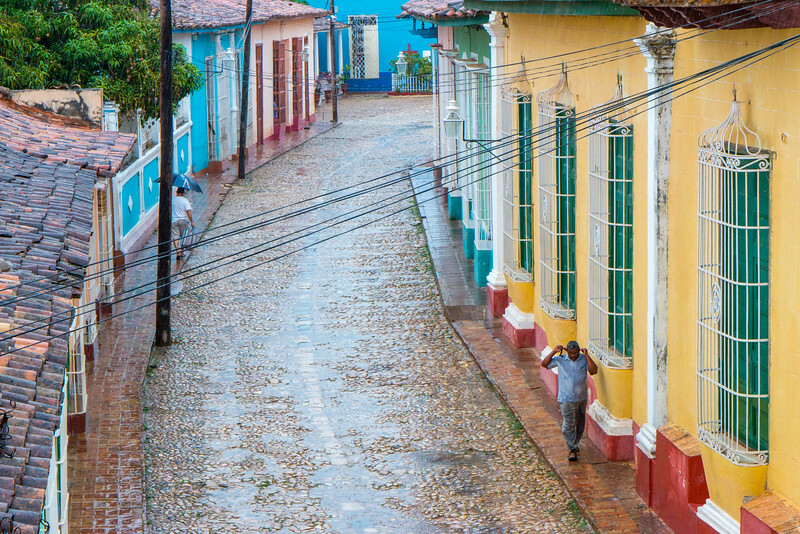 We loved the colours of the colonial towns in Cuba and Trinidad was one of the highlights for sure. Hope you make it there. Worth visiting! Love the photos, I think the rain give them an special touch, a different light! 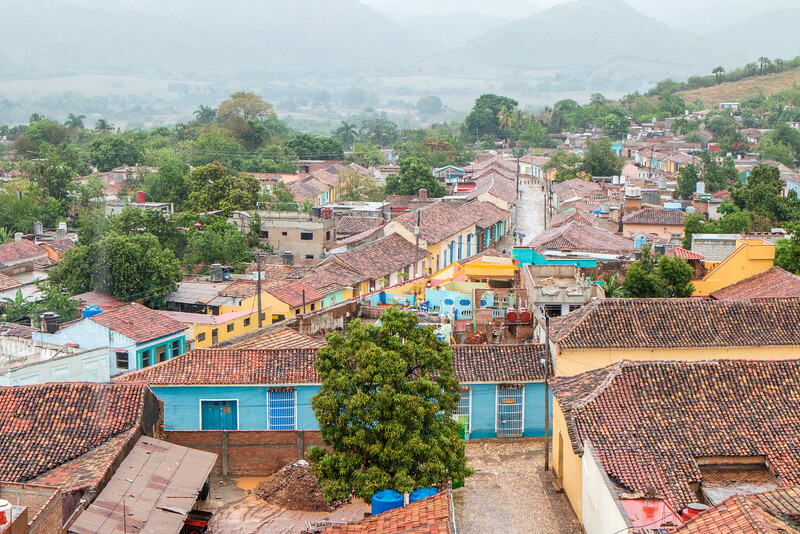 Trinidad is exactly what I imagine about Cuba, and what I would like to see when travelling there. 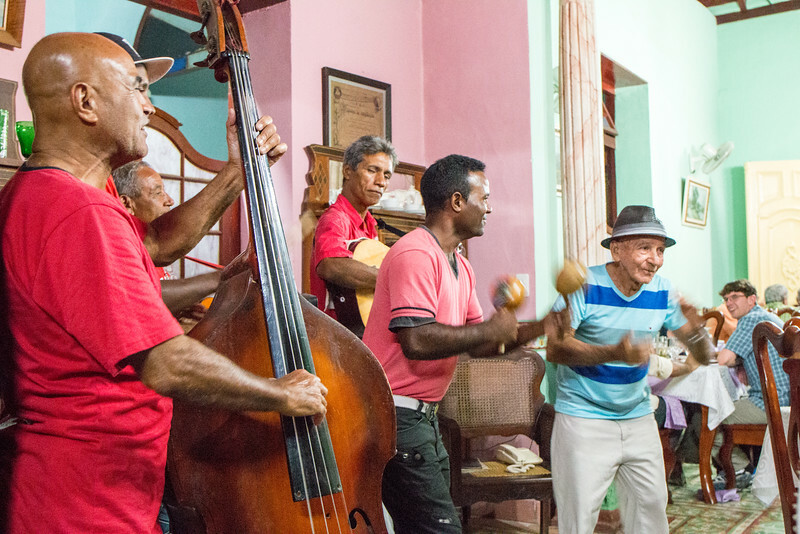 As you say most of people flock to Havana, and there are so many place around to visit and feel the real Cuban way of living! Good guide! Yes, rain doesn’t give you blue skies but definitely improves saturation of the colours. Which in this case, is great! Lots of places to visit besides Havana. 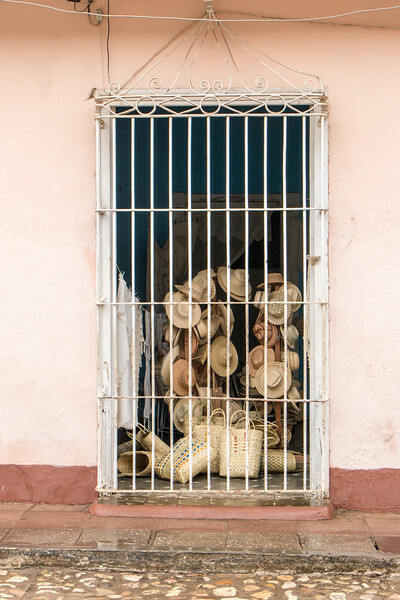 People tend o underestimate how diverse and interesting Cuba is and only focus on a few places. I love all of the colors. I’ve got to make it to Cuba soon, especially now that it’s a little easier for US citizens. There seems to be colour everywhere you look, lovely. 🙂 The lamps change the atmosphere too with its gentle glow. What a great last photo to end your post with, music not the least bit dampened by the rain! Trinidad looks so colorful in the photos! It’s unfortunate that it rained while you were there it rained but more importantly it was an enjoyable visit. Trinidad seems to be a fun place to be at night with all the music venues.